There’s no other feeling like having your own dry cleaning and laundry freshly delivered to your doorstep or picked up at your home or office. 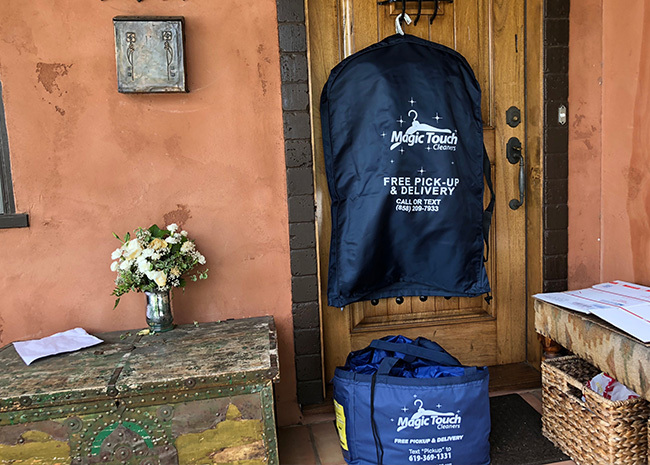 Here at Magic Touch Cleaners, we offer pickup and delivery within the greater San Diego area in order to save you time and gas. Our Home Delivery Service is always reliable, friendly and on-time. By letting us pickup and deliver your dry cleaning and laundry for you, you can focus on the more important aspects of your life.